This a perfect watch given that Olympics are on. Race 2016 revolves around the 1936 Summer Olympics in Berlin. Then, racial discrimination was at its peak. Hitler, then leader of Germany could not even stand breathing the same air as a Jew or a black person. That they were American citizens did not count, what did was their skin colour. 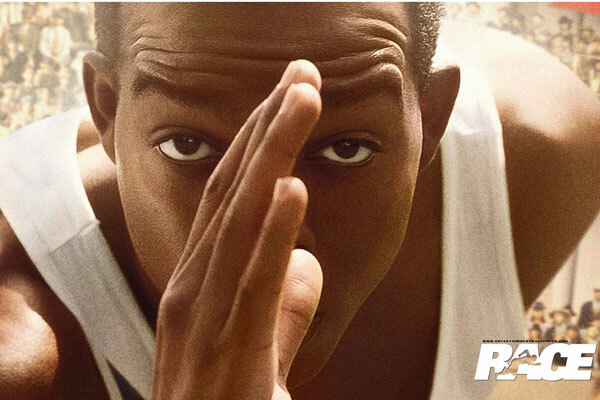 The movie stars Jesse Owens (Stephan James) a natural runner, picked up by a coach desperate to get an athlete on his team that will win medals at the Olympics. When he reads Owens’ profile, he decides to give him a chance. The coach is impressed by how fast the boy is even if he doesn’t show it because he wants the athlete to push himself to do the best he can. As Owens tries to train hard, he is constantly distracted by talk about the discrimination of blacks. One of the activists for black people’s rights even visits him and asks him not to take part in the Olympics to show that he is against the widespread acts of discrimination in the host county. But another black athlete tells him so many people are counting on him to show the whites that black people can be more talented than them. Owens realises that at the end of the day once on the track, black or white does not matter, there is only fast and slow. And in that moment nothing matters, no colour, not even money because for those seconds, you are completely free. It is a bitter sweet watch especially the details of the life after the Olympics for the athlete on which this movie is based. I am now waiting to watch Pele: Birth of a Legend. It should be a thrilling one.